Koshish is a special child school in East Delhi for specially abled children offering special attention, compassion and love to broach them a valued life with great opportunities specially to the children with autism, mental deceleration, cerebral palsy, multiple handicaps, hearing impairment and other neurological disorders. Our special child school is a day school providing all the accommodations to the children in need. 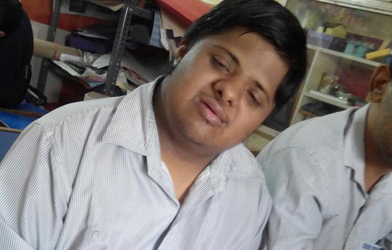 We are also a Handicapped School in East Delhi committed in offering a friendly ambiance to these children, aiding by developing their social and communication skills and nurturing their hidden talents to enable their self-esteem and self-worth. Apart from education, we also focus in extra-curriculum activities such as sports, arts & crafts, music, yoga, drama and dance.